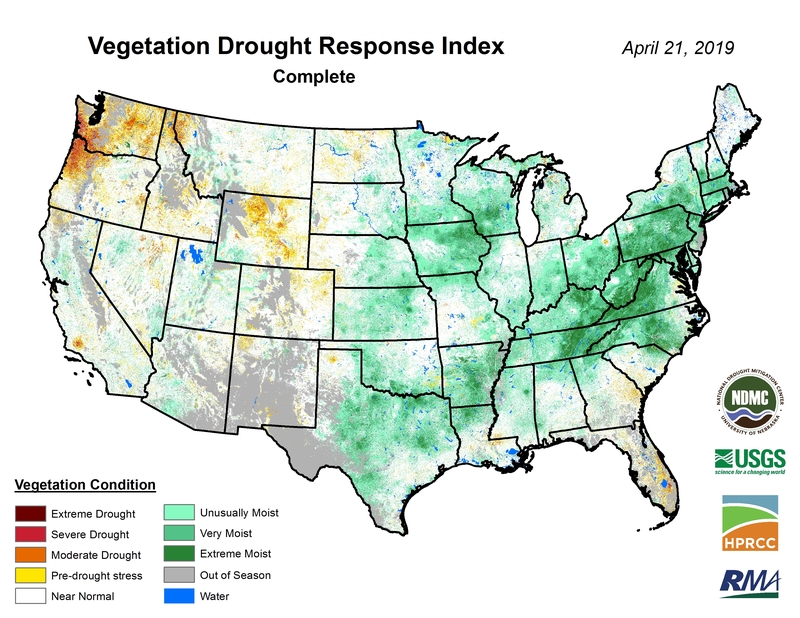 The Vegetation Drought Response Index, or VegDRI, is a weekly depiction of vegetation stress across the contiguous United States. Development of the VegDRI map and associated products is a joint effort by the National Drought Mitigation Center (NDMC), the U.S. Geological Survey’s National Center for Earth Resources Observation and Science (EROS), and the High Plains Regional Climate Center (HPRCC). View changes in VegDRI compared to last week, last month, or last year. View and download an animated time series. See maps from previous weeks and compare two maps. Learn about other related products that are currently under development. Answers to common questions about VegDRI. Provide feedback on the VegDRI product.